Get an early taste of iPhone X with new wallpapers. 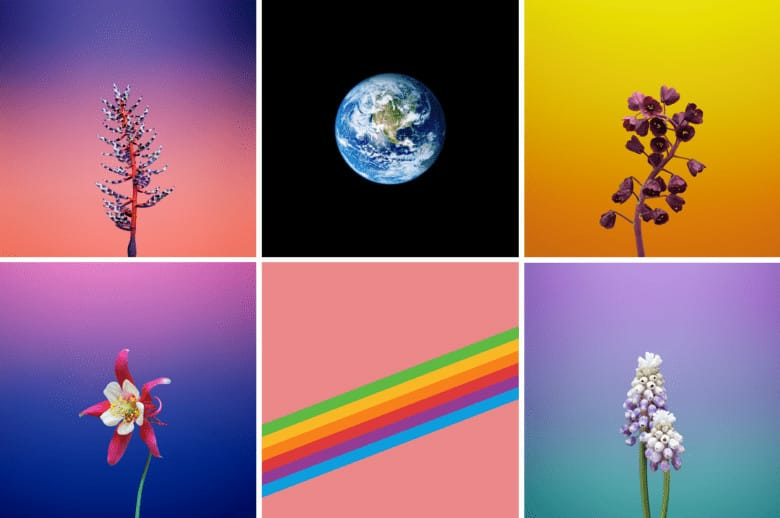 Apple has designed a whole bunch of awesome new wallpapers for iPhone and iPad that will be available in iOS 11. They weren’t present in earlier beta releases, but they are available in the iOS 11 GM that leaked out on Friday. Here’s what they look like — and how to get them. Apple took away some wallpapers — the animated fish that debuted with iPhone 6s — in earlier iOS 11 betas, leaving users with fewer default options. We weren’t expecting to get anymore, with no sign of new options in iOS 11 beta 10. But there are a whole bunch of them in iOS 11 GM — 16 of which are available on existing devices, while three are exclusive to iPhone X. They’re predominantly black and designed to take advantage of the handset’s new OLED display. Unlike LCD displays, which have a dedicated backlight that has to be on all the time for you to see anything, OLED displays can light individual pixels. That means that when dark images are displayed, some pixels don’t need to be lit at all, and power consumption is reduced. That’s likely the reason behind Apple’s decision to offer exclusive iPhone X wallpapers with black backgrounds. But there are plenty of others for those who prefer brighter, more vibrant colors. 9to5Mac has been able to obtain all the images from the GM and made them available to download. There are new options for iPhone as well as for iPad, giving us a taste of the final version of iOS 11 before it makes its debut in the coming weeks. iOS 11 GM also includes a whole bunch of new secrets about iPhone X, which you can find in our big leak roundup.